Love Tea? 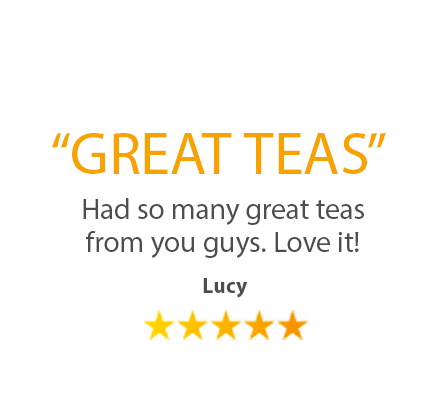 Try a World of New Tea The Easy Way! 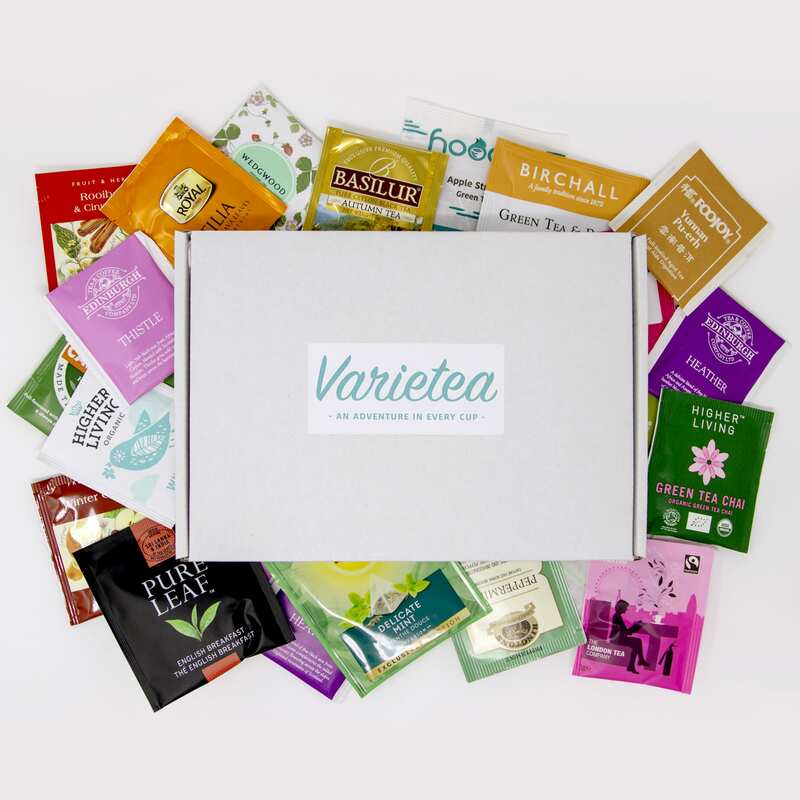 Get a variety of 30 hand-picked teas each month delivered to your door. From fruity ones, quirky ones, subtle ones to the classics. Each month the list of tea providers we have keeps getting bigger so you get to try new ones each month. We go out and source teas from around the world. Hand pick them, test them, get excited by them then the ones we like go into our good list. It’s all delivered to your door. 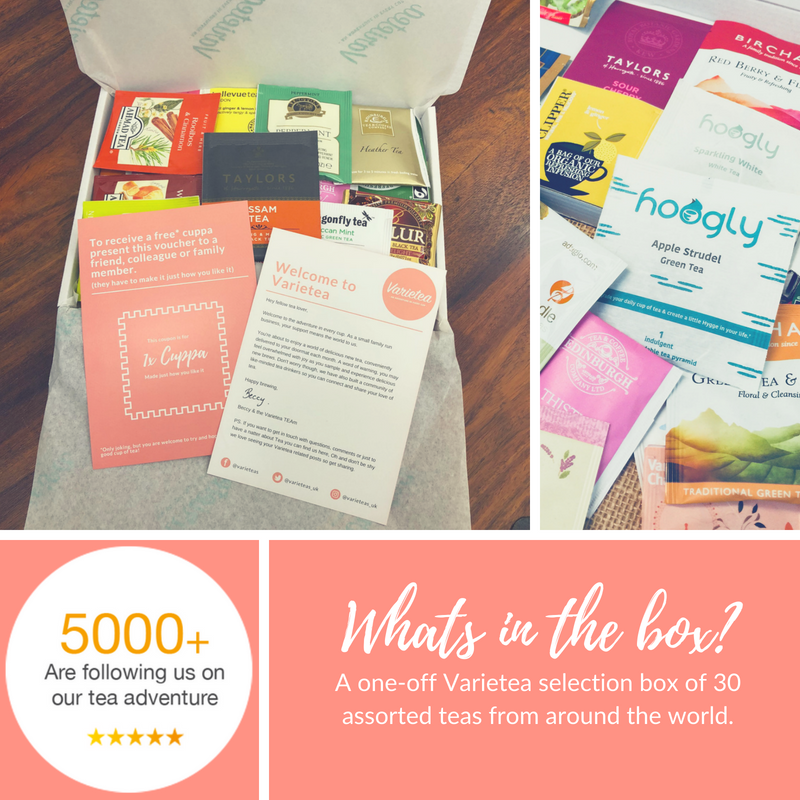 We send 30 teas to your door each month for you to test and get excited about just like us. We take away the hassle of hunting for new things to try or having to buy box after box of tea to only try it once! We only include quality tea and we do our very best to select an interesting mix of the classics as well as the truly adventurous. 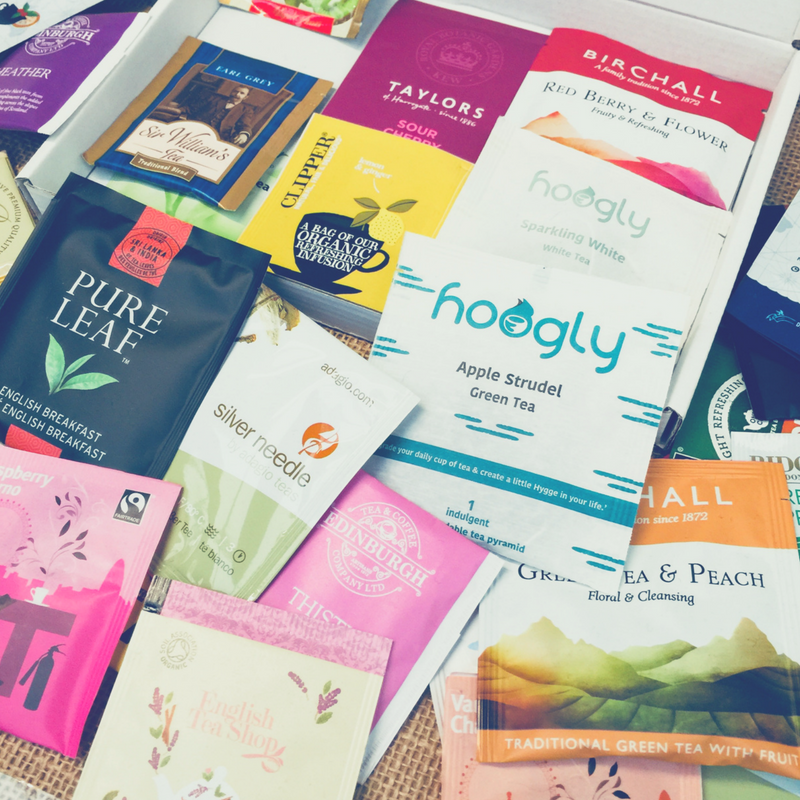 We choose only the most exciting teas to ship in your monthly box. From independent suppliers through to huge chains. The common thread? Quality. I'm Seriously Stunned By The Amazing Selection Of Teas I Get Every Month. My Only Concern Is Getting To Enjoy Them All! All of our tea is supplied by ethical companies with sustainability in mind. 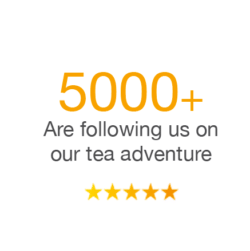 Don’t just take our word for it, hear what real Tea lovers think of our little adventure. Loved This Idea From The Moment I Found You On Facebook, I Have Given Up Hunting For Teas Now I Have You ? And You Are Saving Me A Fortune. 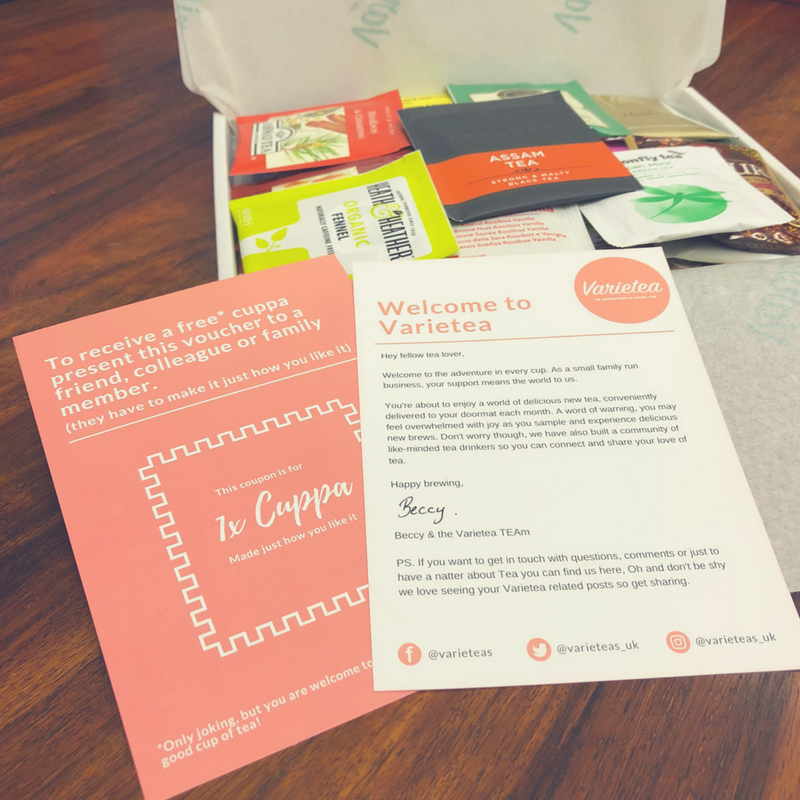 Always A Good Time For Tea, Love My Varietea Box! Thank You. It’s Nice Being Able To Try So Many New Teas, I Have Already Found A New Perfect Brew For Me (The We Are Tea English Breakfast You Included Last Month) I Look Forward To What You Have In Next Months Box. 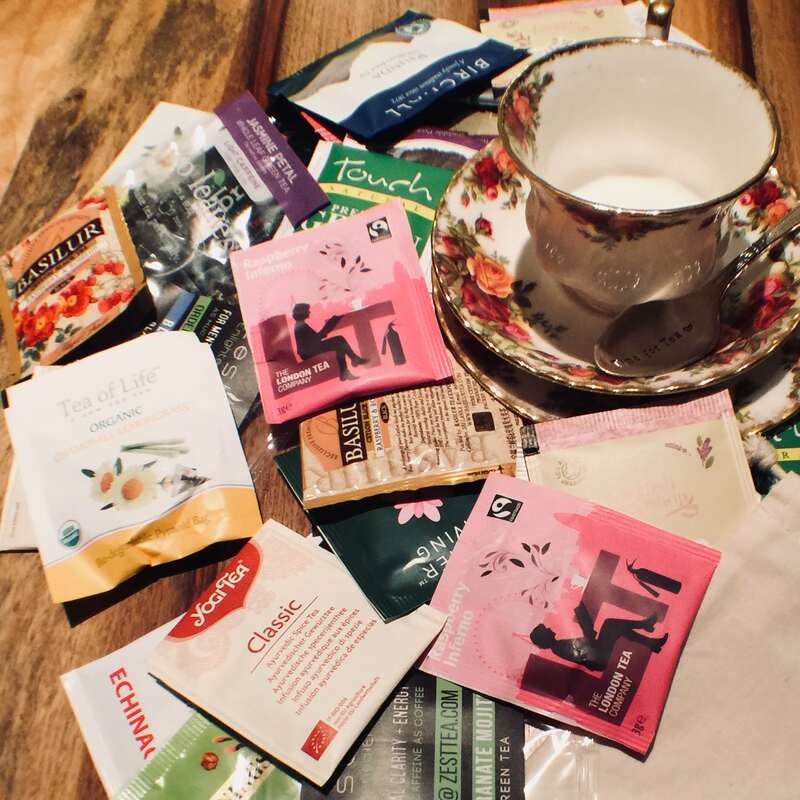 Would you like a delicious selection of 30 assorted teas? There are 100s of types of tea out there. Try something new and fall in love with a new one. From time to time don’t be shocked if you find a little something extra in your box, from discount codes and vouchers to tasty little treats and goodies. Tea is for sharing with your friends, family and a good book. We try all teas before we ship them and only send the ones we love. It's the little things that make life exciting. 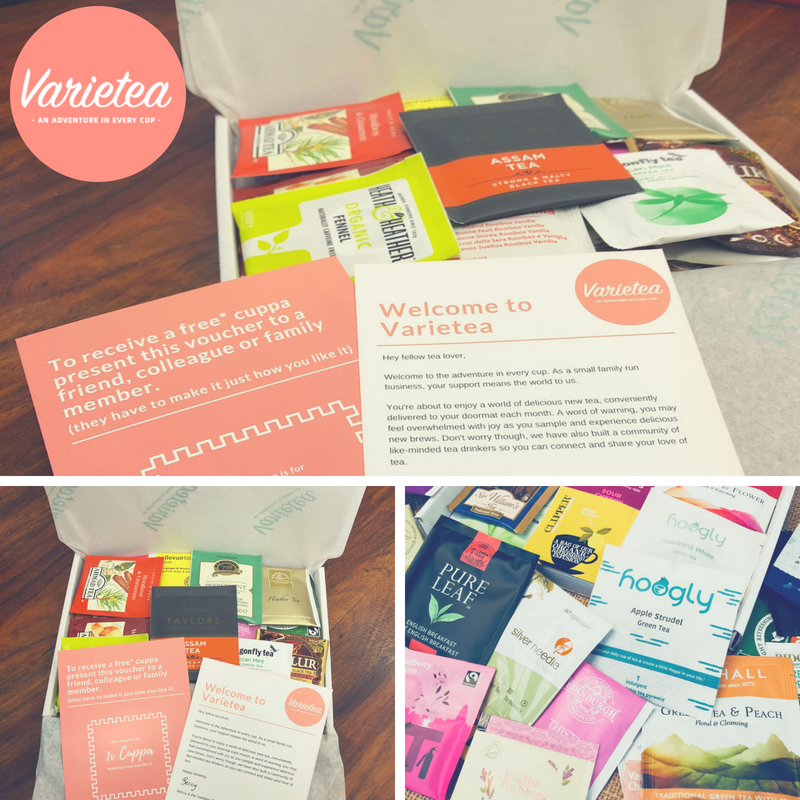 At Varieteas we love how small gestures and genuine appreciation go a long way towards creating real happiness. It's our mission to help bring a little bit of joy and adventure to everyone who decides to take us up on our offer.  Become one of our community of awesome tea lovers now. Cool down this summer with easy iced tea! © 2019 Varieteas. All Rights Reserved. 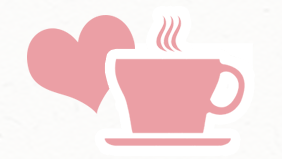 Get a variety of 30 hand picked teas each month delivered to your door. From fruity ones, quirky ones, subtle ones to the classics.